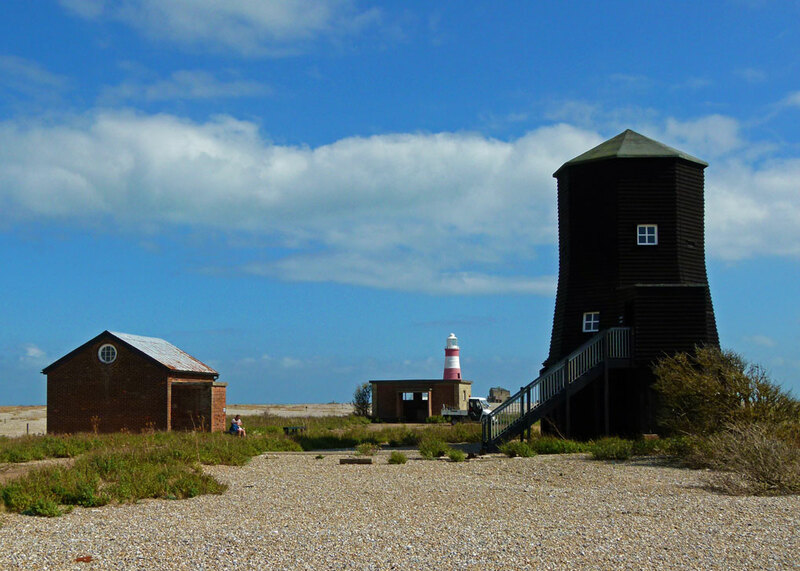 Orford Ness, a ten-mile long shingle spit on the Suffolk coast, is one of the most extraordinary places in Britain. Its environment, part natural, part man-made, provides a perfect, and in places rare, habitat for an enormous variety of flora and fauna. But, more than that, for the greater part of the 20th century it was one of the most secret experimental military sites in the country. Here, armed guards – not commonplace in Britain – discouraged outside interest as boffins worked to challenge and change the course of events, or we know not what. Specialist, unique, structures were built to experiment, test and conceal; and then, it having been judged redundant, Orford Ness was abandoned. Now, the gaunt relics of its clandestine past are scattered across its often bleak landscape, like fading signposts to our recent history, while the flourishing wildlife gets on with survival. 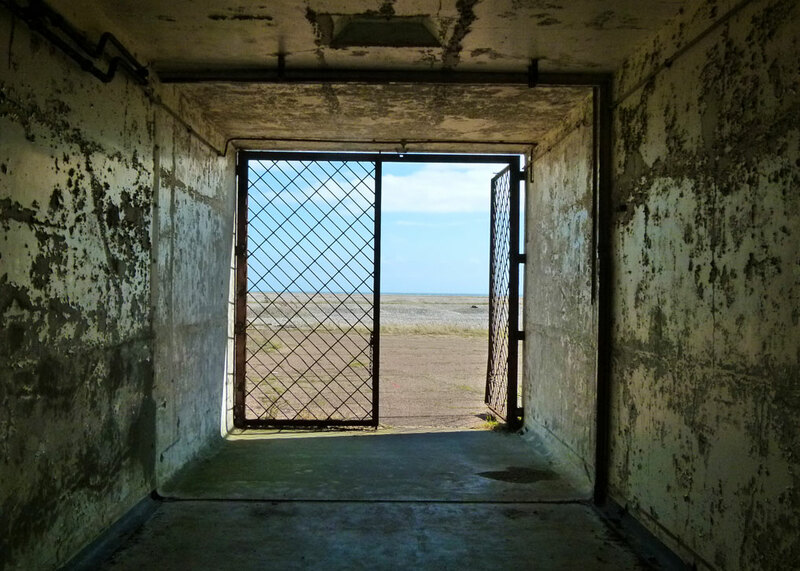 Orford Ness is a fascinating and unusual place to visit. It is not exactly beautiful, and the juxtaposition of crumbling, ugly, man-made structures with nature makes it seem as though the landscape has been, somehow, violated. Yet it also has an alluring sense of mystery and wildness. Its geomorphology, from prehistoric times to the present, has created a dynamic, ever-changing, landform, largely through the process of longshore drift whereby material eroded further up the east coast finds itself deposited at Orford. Thus, just to the north, the coast at Aldeburgh, including part of the town, has been drowned over the years, while the Ness (ness means promontory or projecting ridge) has narrowed and lengthened. 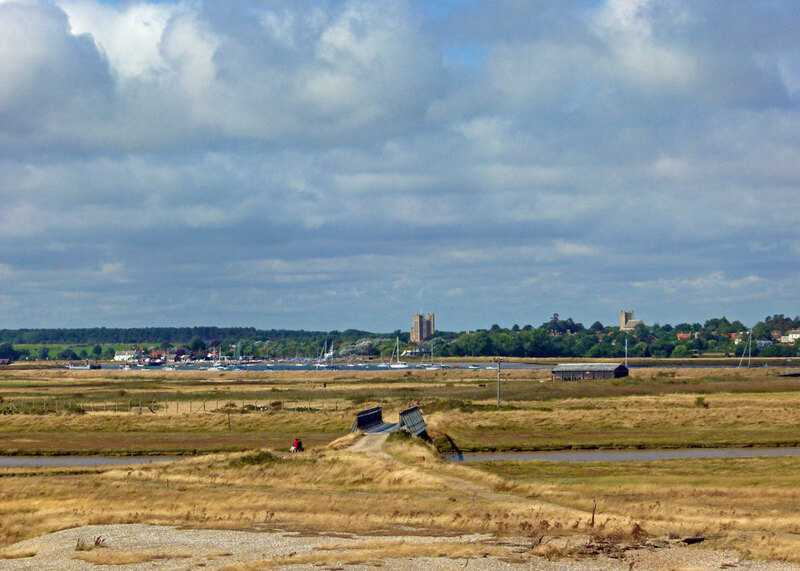 The fortunes of the medieval port of Orford, once benefitting from the shelter of the spit, declined as the deposits of shingle and other material extended and shifted, making the approaches to the harbour more difficult. Orford Ness is tenuously linked to the mainland at Aldeburgh, but separated from it by the River Alde to its immediate west. 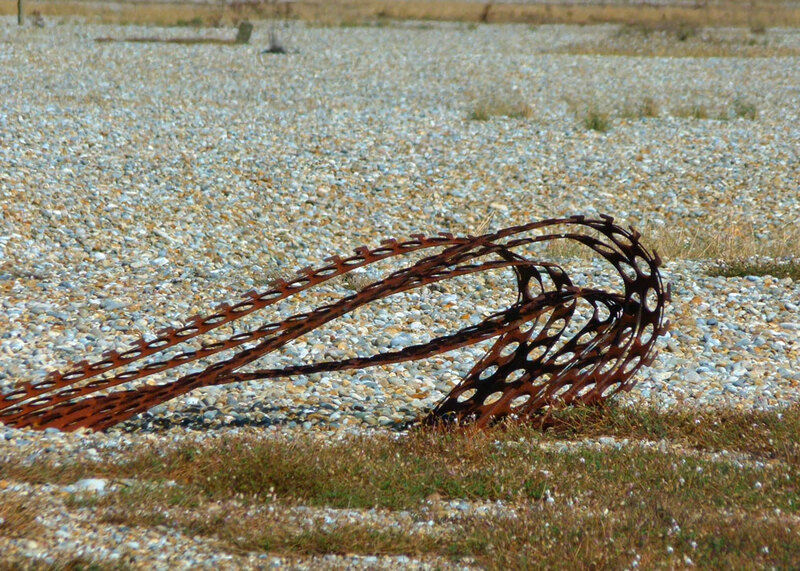 So it is in theory accessible from Aldeburgh, across a narrow piece of the spit, but I have no idea what the terrain is like and, in any event, a locked gate bars the way. 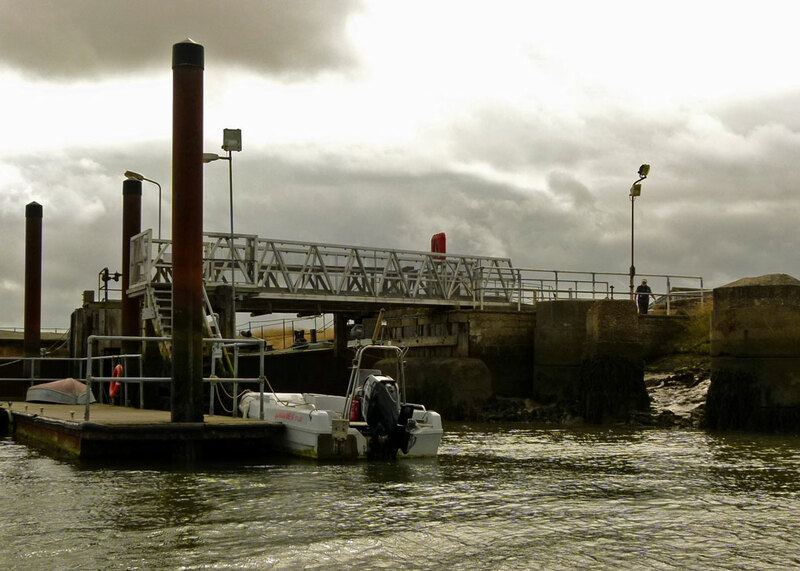 The only official access deemed possible to Orford Ness is by means of a small ferry from Orford Quay; an adventure itself. The process of longshore drift has resulted in a series of shingle ridges and gullies (swales), each ridge marking a previous, perhaps ancient, shoreline. The nature of shingle normally means that plants can’t take root for long, if at all. 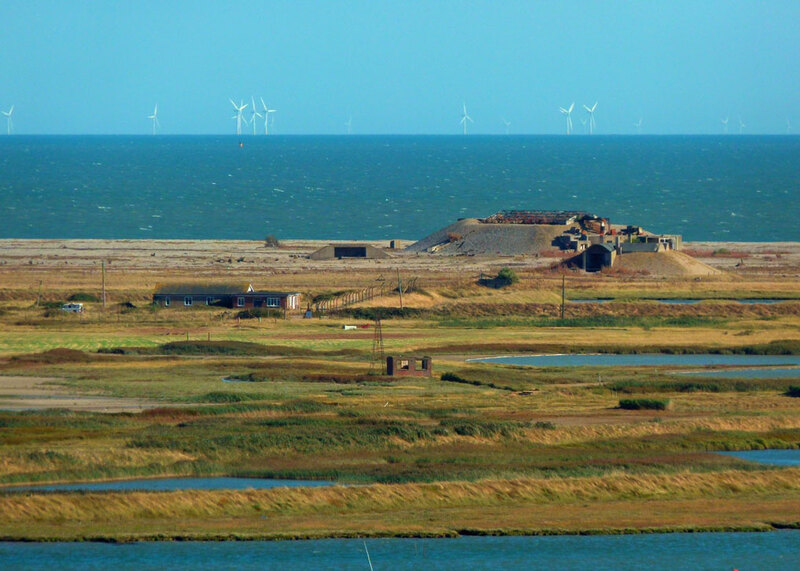 However, at Orford Ness, relative stability has created the largest vegetated shingle spit in Europe, which supports rare and highly specialised flora. The intervention of man has long impacted upon the unusual landscape too. Saltwater marsh developed around the shallower inshore areas of shingle. In the late 12th century, possibly initiated by the builder of Orford Castle, Henry II, banks were thrown up to form pasture where livestock could graze. The banks – or walls – protected the grazing land from seawater flooding and, consequently, freshwater marshes were created in the low-lying ground. It is likely that an area on the Ness known as King’s Marshes is named after Henry. Reclaimed marshland has also been used for arable farming. Over the years, including relatively recently, lagoons have been formed where material has been removed by man to build and repair flood defences. These so-called ‘borrow pits’, full of brackish water, provide yet another perfect environment for certain species of wildlife. Orford Ness was uninhabited for centuries, apart from marshmen tending their livestock. Local folk would come to gather eggs, oysters, hunt wildfowl or launch fishing boats from the beach. Smugglers are rumoured to have worked these parts – and probably still do. But the waters off Orford beach can be treacherous, shelving deeply, with dangerous currents just a few feet off shore and shifting shingle and sandbanks ready to entrap unlucky sailors. During one great storm in 1627, thirty-two ships were wrecked off Orford Ness. Light houses were installed, but they too were lost to the hungry sea. 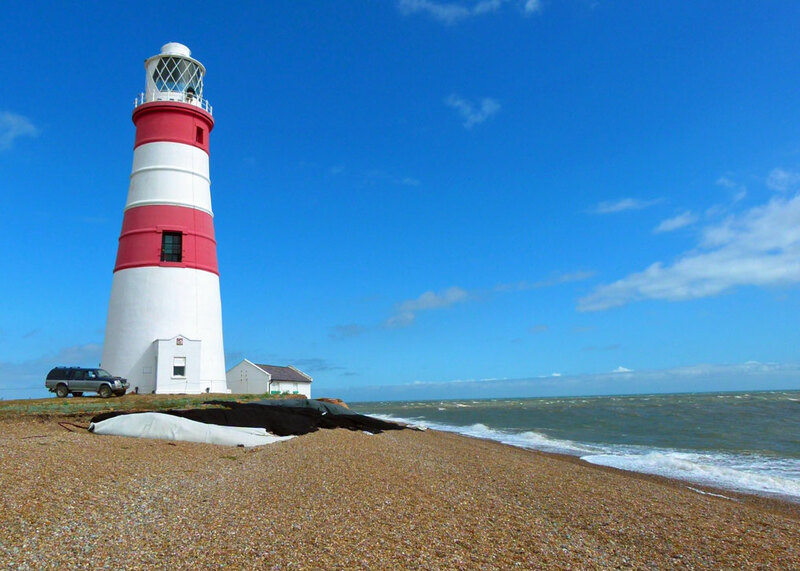 The present Orford Ness Lighthouse was built privately in 1792 by Lord Braybroke, and was taken over by Trinity House, Britain’s lighthouse authority, in 1837. It was in service until quite recently, but decommissioned in 2013 due to erosion of the beach and will one day join its predecessors at the bottom of the North Sea; so if you want to visit it – and as of 2018 it is still open to the public – you’ll need to get a move on. For obvious reasons, the lighthouse was only operated when needed during both World Wars but, interestingly, it was apparently used as a navigation aid by both Allied and German pilots. On 30 June 1853, one of the first submarine telegraph cables was laid from Orford Ness, to Holland. Any traditional use of the Ness by locals ended when the military moved in. In 1913, the War Department (now the Ministry of Defence) acquired a large part of Orford Ness for the construction of an airfield. In 1915, the Experimental Flying Section of the Central Flying School transferred there from Upavon, in Wiltshire. By 1918, 600 staff were living and working on site. The type of work undertaken included testing new aircraft, the development of parachutes, bombs and gun sights, aerial combat tactics, aerial and high-speed photography, camouflage and navigation. In the 1920s, the Ness was used as a firing and bombing range by the Aeroplane and Armaments Experimental Establishment based at nearby Martlesham Heath. There was a POW camp on site in the First World War – German POWs as well as Chinese Labour Corps personnel constructed flood defences. Toward the end of that conflict, a 100 foot span hanger was erected for the new twin-engined aircraft then under development and a 600mm gauge military railway was installed to carry stores and equipment and, sometimes, personnel. A slightly larger 2 foot (610mm) gauge railway was constructed on the site during the 1960s. 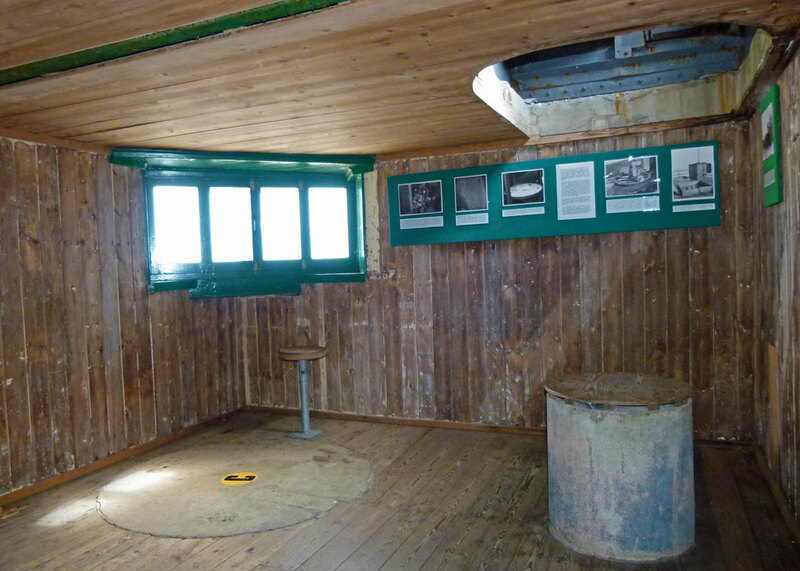 In 1933, a Bomb Ballistics Building was constructed, for the purpose of observing and recording the flight of bombs in order to improve aerodynamics and bomb aiming. This was state of the art stuff; and the building is still there. Possibly some of the most significant experiments conducted at Orford Ness took place under the auspices of the Ionospheric Research Station, set up by the brilliant Robert Watson-Watt in 1935. At a meeting of the Committee for the Scientific Study of Air Defence, it had been suggested to Watson-Watt that radiation – actually, a ‘death ray’ – could be used to stop enemy aircraft. Watson-Watt rejected this as impractical with the technology available at the time, but suggested there was potential to use radio waves as a detection system. So the Ionospheric Research Station was a cover for the development of the radio-detection system that briefly became RDF (Radio Direction Finding) and that we now know by its American acronym as Radar (RAdio Detection And Ranging). The first ever purpose-built Radar masts were installed at Orford Ness in 1935; built by Harland and Wolf of Belfast, they were 250 feet (76.2 metres) high. 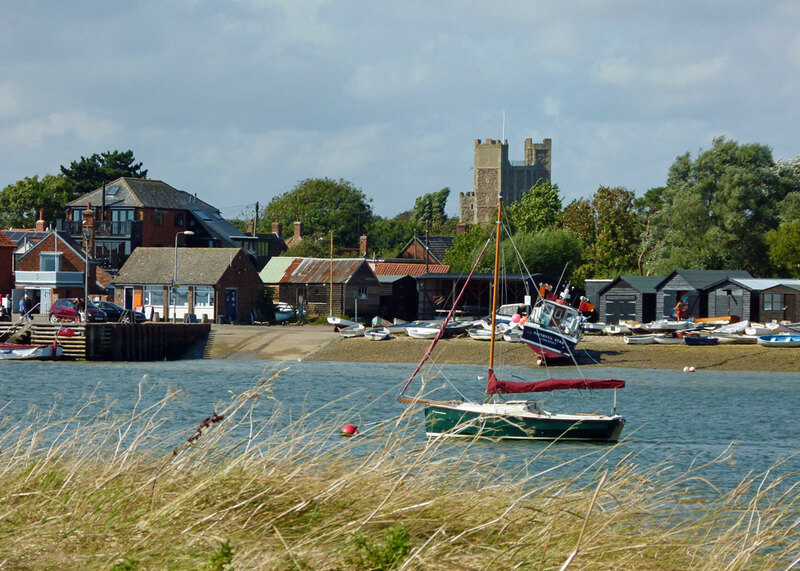 Watson-Watt’s team moved to nearby Bawdsey Manor in 1936, from which the chain of stations that would be deployed ahead of World War Two, and which played such a decisive role in the Battle of Britain in 1940, was developed. Without the work undertaken at Orford Ness, the history of the world would have been very different. Between 1938 and 1959, aircraft ‘Lethality and Vulnerability’ trials were undertaken at Orford Ness, assessing the vulnerability of various aircraft to attack, with a view to improving protection. One experiment involved shooting at aircraft from all angles with a .303 rifle, one shot at a time, meticulously recording each shot. During the Second World War, German as well as Allied aircraft were tested. Once the machines had been finished with, airmen would apparently scrounge bits of leather and metal, to make souvenirs like belts and cigarette lighters, which they could perhaps sell. Inside a building known as the Plate Store, sheets of experimental armour-plate were bombarded with projectiles, to see what worked – and what didn’t. In addition to accommodation and testing buildings, there were machine shops, a refrigerator station, a battery shop, photo-processing facilities, stores, look-outs; this was a big complex. Presumably, there was some kind of defence force too – though nothing I have seen or read so far mentions this vital aspect; perhaps it’s taken as obvious! From what I can make out, this was a Royal Air Force facility during World War Two, but after 1945 Orford Ness seems to have been handed over to the Royal Aircraft Establishment (RAE), a government research organisation that had various names and roles during its lifetime. In 1953, the Atomic Weapons Research Establishment (AWRE) moved in and appears to have had exclusive control of the site from 1959. This is the shadowy period we know as the Cold War. Despite Britain’s crucial contribution to the US-funded Manhattan Project during World War Two, which produced the world’s first nuclear weapons, wartime collaboration in this area ended after the death of President Roosevelt in 1945, when the Americans refused to share further atomic information. Despite Britain’s perilous economic state at the time, and despite the ambitious commitments made by the new Labour Government, including the creation of the National Health Service, in 1946 a secret cabinet committee decided that Britain should pursue its own, independent, atomic programme. Very few people, even in government, knew of this decision and work proceeded in the utmost secrecy. Britain’s first atomic bomb was detonated on 3 October 1952 in the Monte Bello Islands off the north-west coast of Australia. WE177 was a family of UK parachute retarded free/fall nuclear weapons with three distinct variants, designated A, B, C, each of which had a number of delivery and fusing options. The system was developed to provide tactical low level delivery capability to UK strike aircraft such as the RAF TSR2 and RN Buccaneer, but the B variant was deployed initially, during 1966, on Vulcan aircraft of the RAF V-bomber force, as part of the UK strategic nuclear deterrent. WE177 variants eventually replaced Yellow sun Mark 2 and Red Beard weapons in the UK inventory. Most UK strike aircraft of the period 1966 to 1998 could deliver all WE177 variants. WE177A, in its role as a depth bomb, could also be delivered by most UK naval helicopters of the period 1971 to 1991, when that capability was withdrawn. The WE177 weapon system was withdrawn from RAF service at the end of March 1998, and all weapons have been dismantled. 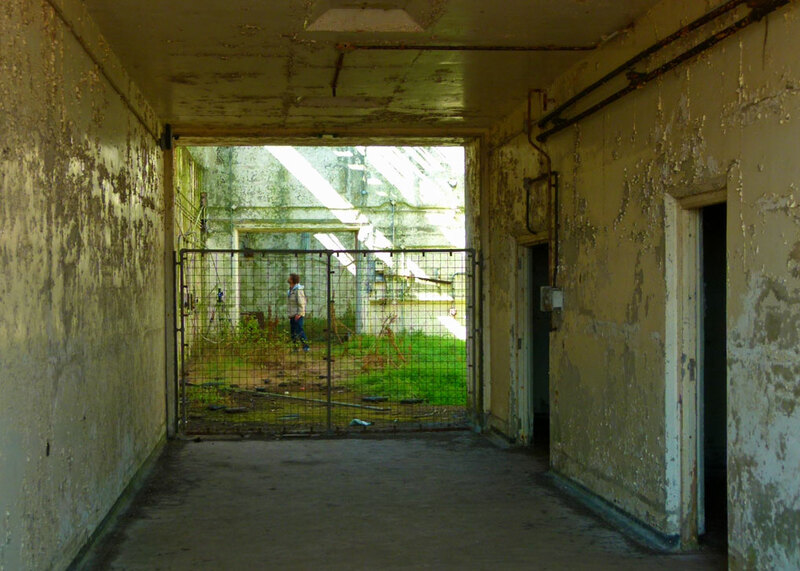 Orford Ness is one of the few places known where purpose built facilities were created for testing atomic weapons and their components. Blue Danube, Britain’s first atomic bomb, was lowered by crane into a specially-constructed pit to be tested. Tests were designed to imitate the extreme conditions such weapons would be subjected to prior to detonation – vibration, high temperatures, shocks, G-forces. It has always been maintained that no fissile material was involved in tests, but high explosive initiators were present and any accident could have had devastating consequences. So far as we know, there were no accidents. Of course, it is comforting to read that buildings were designed to absorb any accidental explosion, allowing gases and other material to vent and dissipate in a directed or contained manner. In the event of a larger accident, the roofs were designed to collapse onto the building, sealing it with a lid of concrete and shingle. Such tests were remotely controlled. 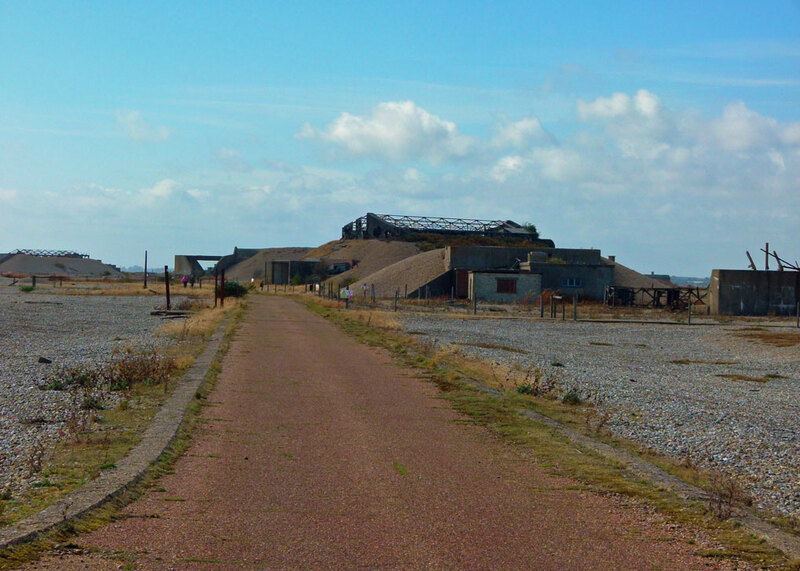 Orford Ness also had an experimental rocket range to record the flight path of air launched rockets and, in the 60s, a Hard Target Impact Facility was built. This tested time-delay fuses mounted on a rocket-propelled sledge running on rail tracks launched at a high-density concrete target. 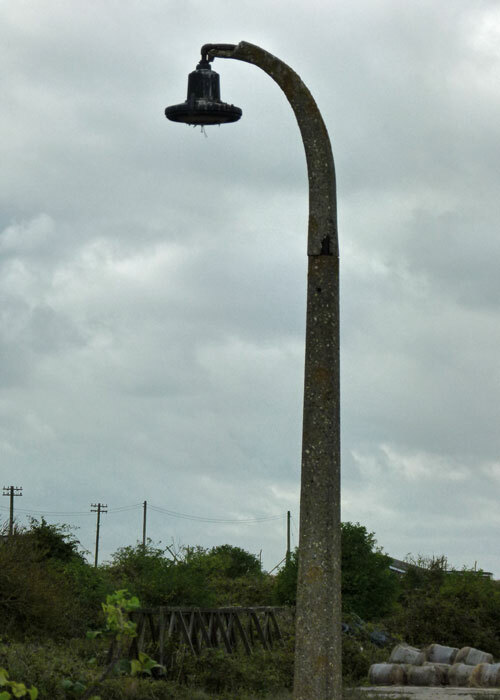 It seems that it wasn’t just weapons that were tested at Orford Ness. Allegedly, radio detection picked up a Soviet atomic test for the first time from the effect of the explosion on the ionosphere. Many of the buildings from this time are clearly visible from miles away, notably the distinctive pagodas. Even though this is, presumably, yesterday’s technology, it still looks like something from a sci-fi movie – and just a teeny bit sinister. Walking about these parts of the Ness felt decidedly uncomfortable at times, almost as though we were being watched. A suspicious-looking man was poking about in one wrecked and abandoned facility, a part that looked closed off to the public; I have no idea what he was doing, or how he got there, but he definitely didn’t arrive, or depart, on the same boat that we did. AWRE vacated Orford Ness in 1971. From 1968 until it was shut down in June 1973, an Anglo-American project codenamed ‘Cobra Mist’ occupied a huge area on the northern edge of Orford Ness. This involved a top-secret over-the-horizon (OTH) backscatter (no, I don’t know either) radar called System 441A. It was extremely expensive and apparently plagued by severe ‘noise’ (interference) from an unknown source from its inception, which ultimately led to its premature closure. The buildings were then allegedly used to house radio transmitters for the BBC World Service, but apparently no longer do so. 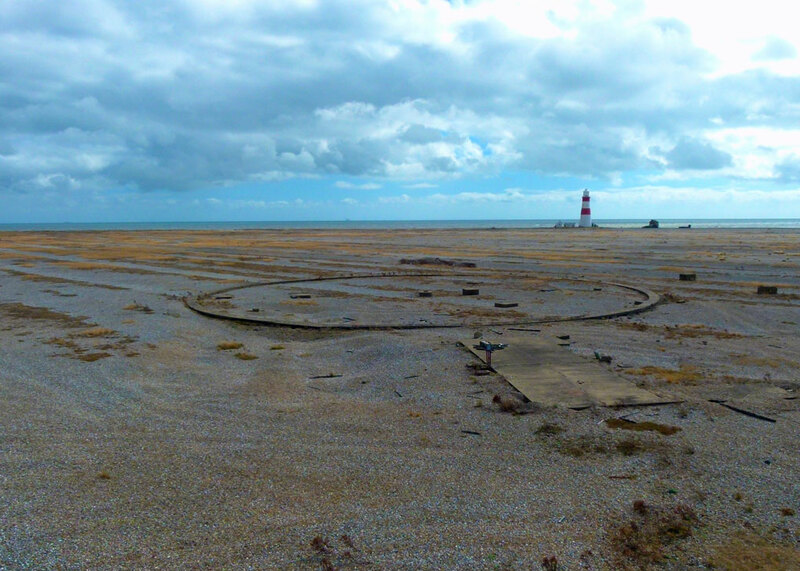 Frankly, who knows what went on at Orford Ness? That is part of the thrill of going there. It is certainly not your average visitor experience – there is no cosy café for a start. The experience begins as you wait on the quayside and there’s a little frisson of excitement as you chug across the water and come ashore, which continues through the very necessary safety briefing. I shouldn’t be at all surprised if the adrenalin pumped a little harder than usual all day, imagination working overtime and trudging across the muscle-wobbling shingle beach with the waves crashing. If it wasn’t for the helpful information boards, I wouldn’t have had a clue what I was looking at most of the time; but the boards do not explain everything. Inevitably there are stories, ranging from UFOs to the apocryphal tale of a Nazi invasion near Shingle Street, at the tip of the spit, which was thwarted by a wall of fire. This is a common myth: my mother used to tell a similar story about a failed invasion near the Isle of Wight; everyone knew someone who had seen the grisly evidence. 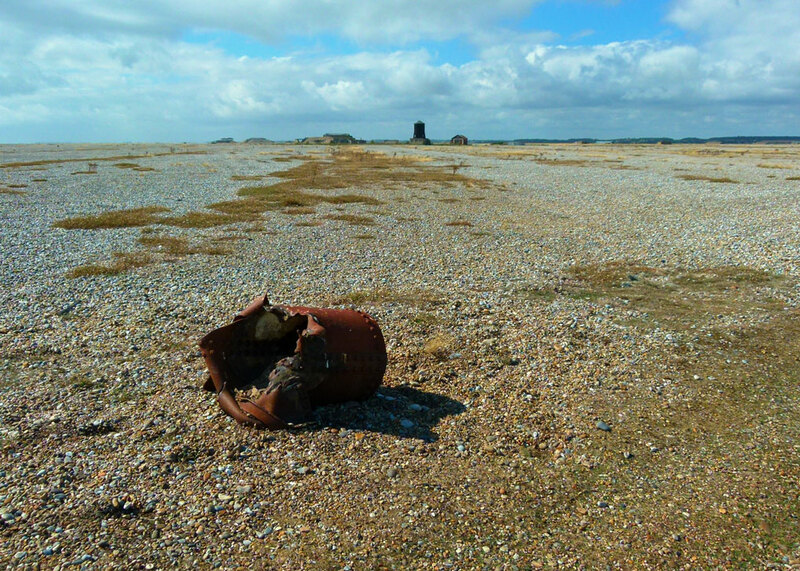 But Orford Ness doesn’t need fictional tales, when the truth (whatever it is) was so intriguing. You do wonder what it must have been like to live nearby, though. Quite apart from having a large prohibited area on your doorstep, everyone would have known it was a prime target for attack. Unsettling. From 1967 until 1985, bomb disposal teams worked to clear the site of unexploded ordnance. It is still not judged safe to wander off designated routes – and this might also damage some of the delicate habitats, of course. The National Trust acquired Orford Ness from the Ministry of Defence in 1993 and welcomed its first inquisitive visitors in 1995. It has undertaken a massive amount of work to conserve and restore the environment – clearly, an ongoing process. Grazing has been reintroduced. Deep-sea rod fishing once more takes place from the beach. But the real triumph, as suggested at the start of this article, has to be the wildlife – which I am not really qualified to write about (my friend Clare would do a far better job). Anyway, Orford Ness is a paradise for bird-lovers and botanists alike. With the range of environments – the vegetated shingle, marsh, reed beds, lagoons, pasture – and so on – you will find things like sea lavender, samphire, pink sea thrift and sea pea. As well as various gulls, the eagle-eyed (tee-hee!) could spot Lapwings, Redshanks, Curlews, Skylarks, Meadow Pipits, Avocets, Oyster catchers, Barn Owls, Short-eared Owls Marsh and Hen Harriers, Merlins and Grey Herons. Certain types of insects thrive there, including butterflies, and there are also deer, rabbits, brown hares – and feral cats! I was tickled to read that Stony Ditch, a tidal creek you cross using a military Bailey Bridge to reach the eastern-most part of the Ness, is a favourite feeding ground for birds and that each square metre of mud there has approximately the same calorific value as 633 Mars bars. Someone worked that out. Orford Ness is a designated Site of Special Scientific Interest (SSSI), Ramsar site (the Ramsar Convention, is an intergovernmental treaty that provides the framework for national action and international cooperation for the conservation and wise use of wetlands and their resources) and National Nature Reserve (NNR). It is also a curious symbol of the 20th century: the conflicts, fear, waste, ingenuity, brilliance, effort, man hours – and how successive governments decided to spend our money. 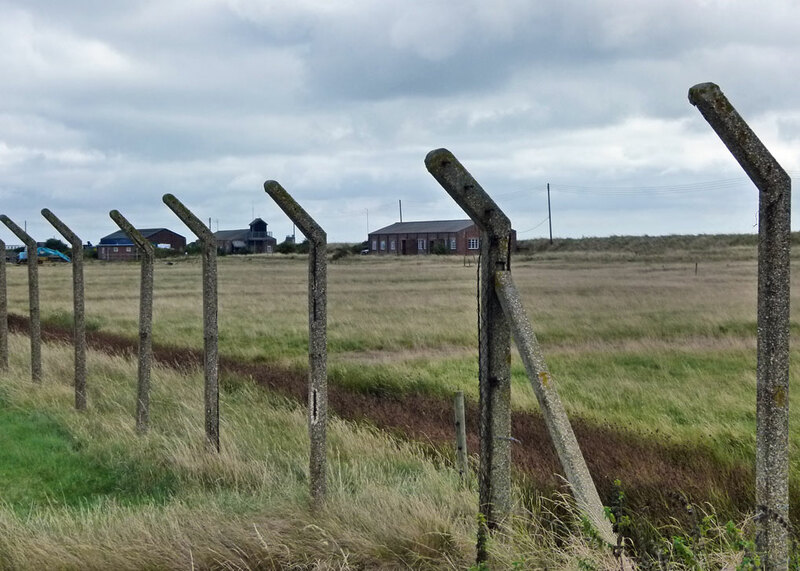 My father was a young research scientist at Orford Ness during WW2 . He rarely spoke about his work there until in 2017 he was interviewed by the oral historian based there with the National Trust . My father obviously had a brilliant mathematical mind . His work there was beyond fascinating . My daughter and I were fortunate to Orford Ness in July 2018 . That’s really interesting. It must have been an even stranger place to visit for you, given your father had worked there – and no doubt trying to picture him there. 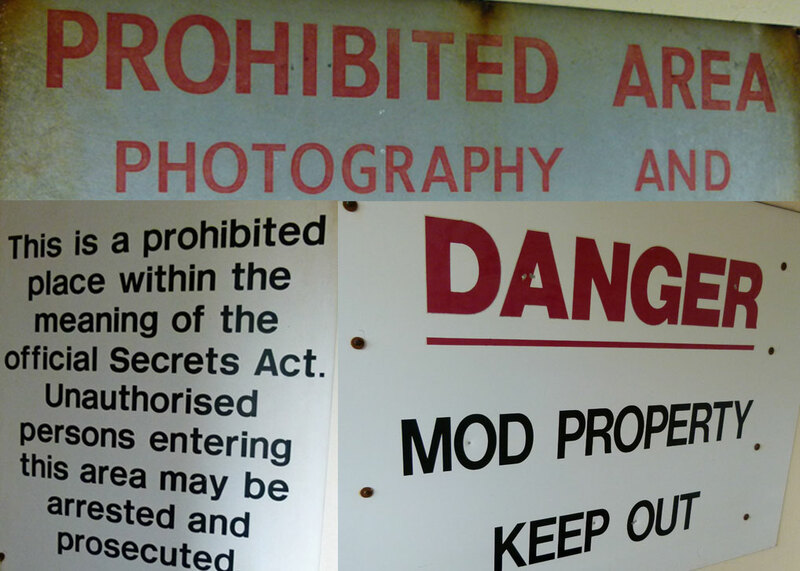 Orford Ness is a somewhere I have always wanted to visit – not least for its Cold War legacy. Your readers may like to know that English Heritage produced a very comprehensive book (Cold War, Building for Nuclear Confrontation 1946 – 1989, by Wayne D Cocroft Roger J C Thomas), and on various buildings associated with the period and of course Orford Ness is mentioned together with ‘Cobra Mist’. The book explains the project with official photographs and diagrams (pages 135 – 139). ‘Back- scatter’ is (apparently) a system whereby radar signals aimed at a target – in this case aircraft movements over eastern Europe and missile launches from the USSR’s Northern Fleet facility at Plestsk – would be recieved back by the site that sent them rather than a seperate monitoring (receiving) station. It was originally to be sited in Turkey but a suitable site couldn’t be negotiated. As you note there were problems from ground clutter/noise – even after the site was cleared of explosive ordnance. In addition one of the aircraft that carried out a raid on Britain by the Italian Air Force (based at a Luftwaffe airfield in Belgium) came down nearby. This aircraft is now in the RAF Museum’s collection. Prospective visitors should check whether at the Hendon site (where it was in the now demolished Battle of Britain hall) or at the Cosford site as the Hendon museum has had a reorganisation of its artefacts as well as a new building due to open in summer 2018. Finally Imperial War Museums London has an example of an (inert) training WE177 weapon. It’s interesting to compare how small this is when compared with the nearby – again inert (!) – ‘Little Boy’ atomic weapon casing. Thanks for all that, Richard – interesting. IWM London and the RAF Museums are listed on A Bit About Britain’s directory and I’ve taken the liberty of adding links to the entries to help people. Yes – i got an odd feeling seeing the WE177 – more so the ‘Little Boy’ at IWM London though, for some reason. Both very creepy. I think you’d enjoy Orford Ness. Hi Cat. A dictionary definition of shingle is “a mass of small rough pieces of stone on the shore of a sea or a river”. So that’s what Orford Ness is made of… Yes, I liked the calorific comparison too! This is a perfect setting for a sci-fi thriller. It has all of the abandoned spookiness and history to give rise to alien encounters. I’m pleased to see that the Brits use the language like their cousins here in the States, re-fashioning images of departments so they seem kinder and gentler. War v. Defense. Perfect. I’ve always wondered what NESS meant, so thank you for that definition today. Yes – or some kind of espionage/conspiracy thriller! Oddly enough, I’ve seen attractive concrete and plastic – but i know what you mean. This sounds like a fascinating place to visit. I had not heard of it before. “how successive governments decided to spend our money” – yes. That’s what I was thinking while reading this: all the stuff that went on and we didn’t find out till much later. I wonder if there are still secret doings in high places, or are we past the point where such things can remain hidden? I’m sure there’s loads that goes on that we don’t have a clue about. What a history this place has. Sinister is the word that comes to my mind. I’m surprised that after all these years something isn’t known of the nature of the military experiments as I would think the info would be outdated by now. It’s kind of neat that wildlife has found suitable habitat there amongst it all. Very interesting, I had no idea. Passing on to the fellas to read. I think our field trip will need to be a Year Long field trip. My fellas, will never get in all they want in a week. Let me know if you need any help on the planning! Sounds a little like you were writing about ‘our’ Area 51. Not as remote as Area 51, though. Totally fascinating, as always, Mike. Thank you. That was a marathon post but how intriguing. Well, that roused a lot of memories! I used to sail that coast back in the Dark Ages and remember rounding the Ness with its tricky tides and currents.It always had a sinister air…though that was probably because I knew of the uses it had been put to over the years. I shall be looking out my old Hervey Benham and James Wentworth Day books now to have a nostalgic wallow. I wonder if the smokehouse is still going? The smoked eel was worth a bit of tricky navigation to sample. Super research as always…I really appreciate the detail. I know Aldeburgh is famous for its fresh fish – and probably smokehouses too. A most fascinating post, Mike! What a fascinating place. But a NT site with no cafe? How do they attract visitors!? Thank-you very much for the shout-out, Mike. An excellent account of this rather sinister place and the uses to which it has been put. I am ashamed to say that despite living only thirty miles away I still haven’t visited Orford Ness. Your detailed description of the place makes me want to see it for myself. Maybe this year….. I hope you do, Clare; it’s not far from you and you’d do a brilliant job writing about it. You are too kind, Mike. What a place to explore! Beautiful shots. In some of these, it has a very ends of the earth feel. Totally fascinating! Wish I lived near there I’d be right up for that excursion! Absolutely fascinating, Mike. A resonant place down the ages to say the least. And what were those scientists up to. Doubtless something of which we would not now approve. Btw I noted the ref to the Chinese Labour Corps. Another layer of human intervention that most people would not now expect to be there. Yes, I wondered if you’d spot that.